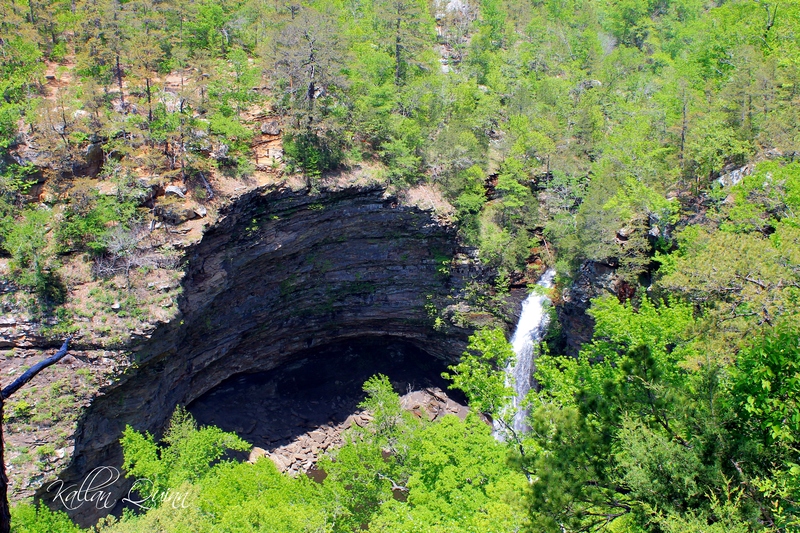 This is one of Arkansas’ most popular parks for a good reason. It is beautiful. 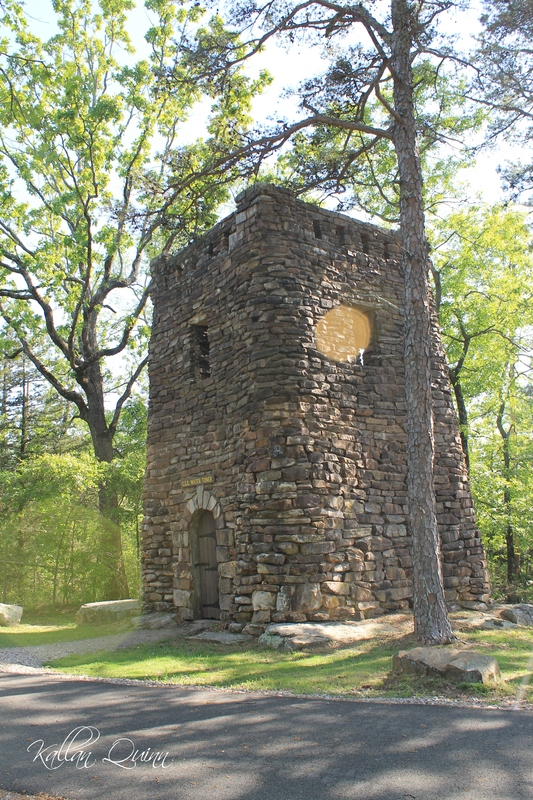 The park is located outside of Morrilton and along the Arkansas River. 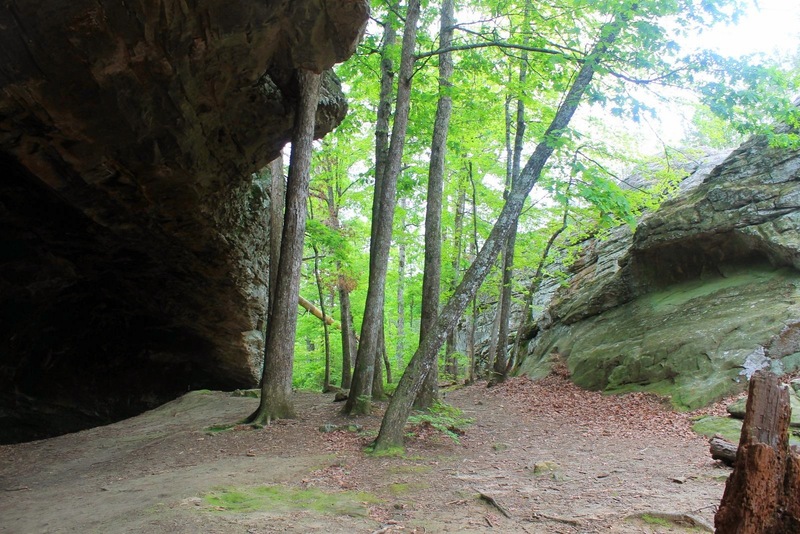 This park is kind of different than most state parks we have been to because the park is spread out along Route 154. 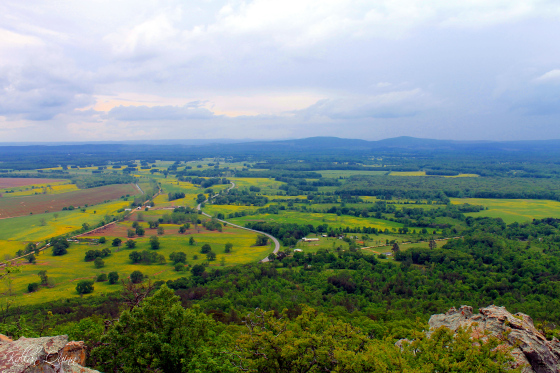 The drive from one end of the park to the other is great because there is so many things to see along the way. 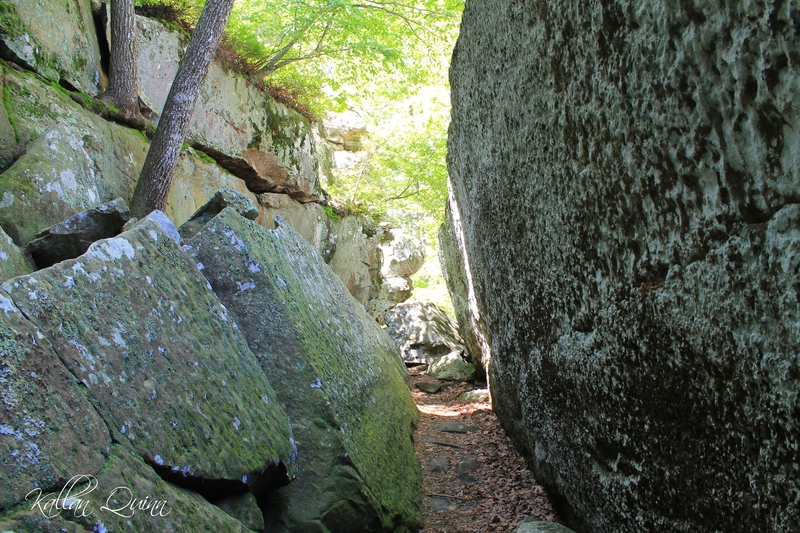 Bear Cave Trail: A fun trail around boulders and through passage ways. 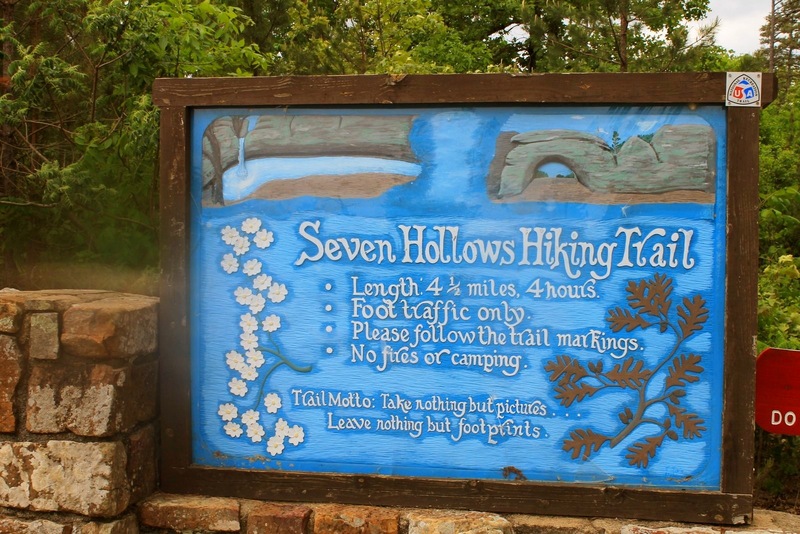 Seven Hollows trail: This trail is about 4.5 miles long and has several different features along the way. 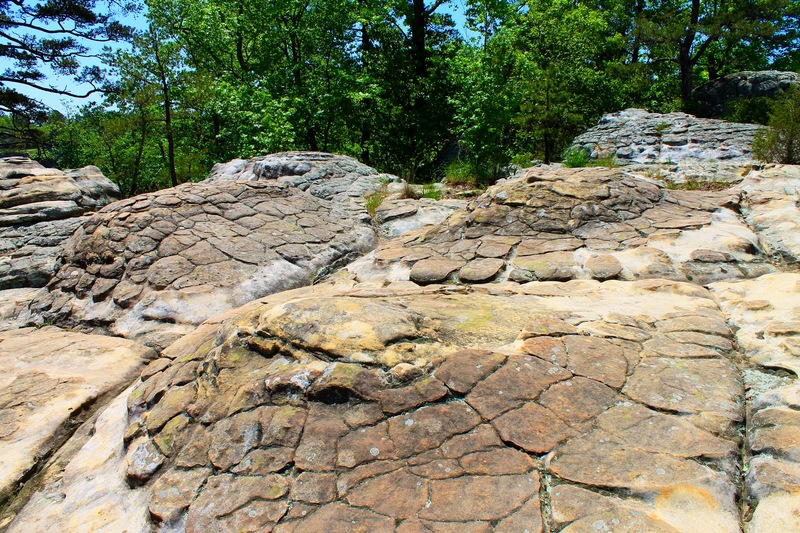 First, there is the “turtle rocks”. 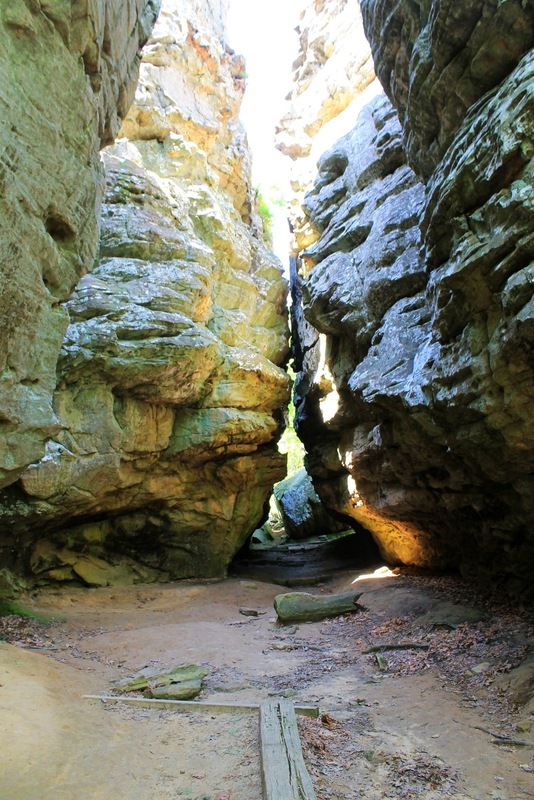 There is also an short spur to a grotto that features a seasonal waterfall. 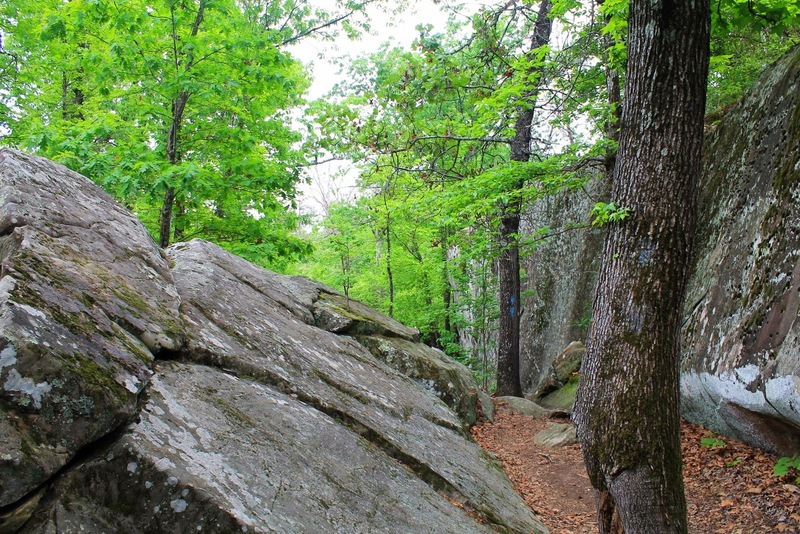 There are lots of neat rock features along the way and great hiking. 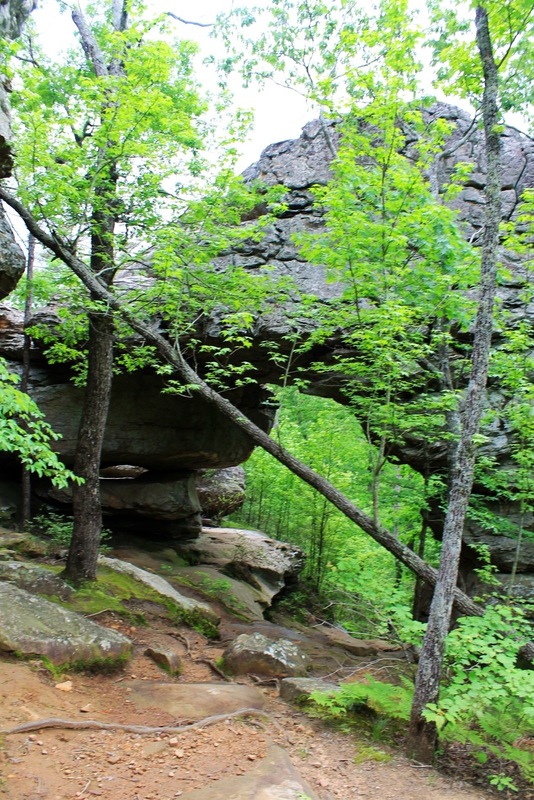 There is even a natural arch along the way. 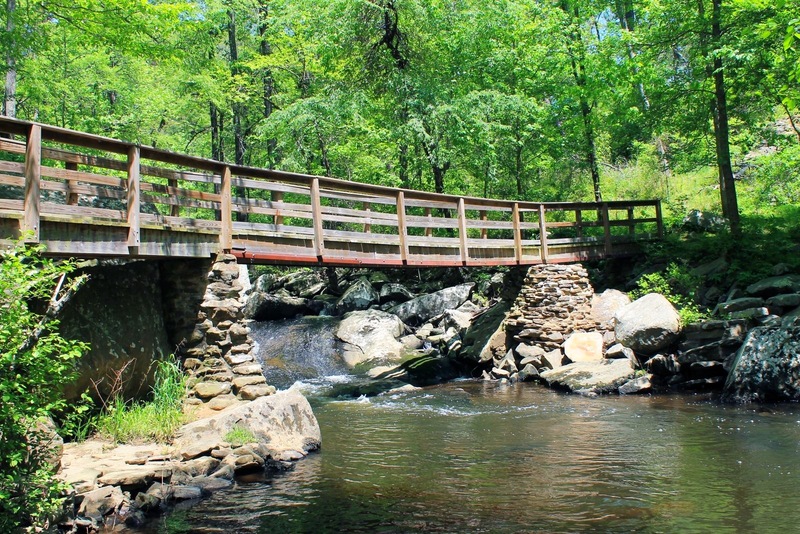 Even if you are not into hiking, this park still has a lot to do. 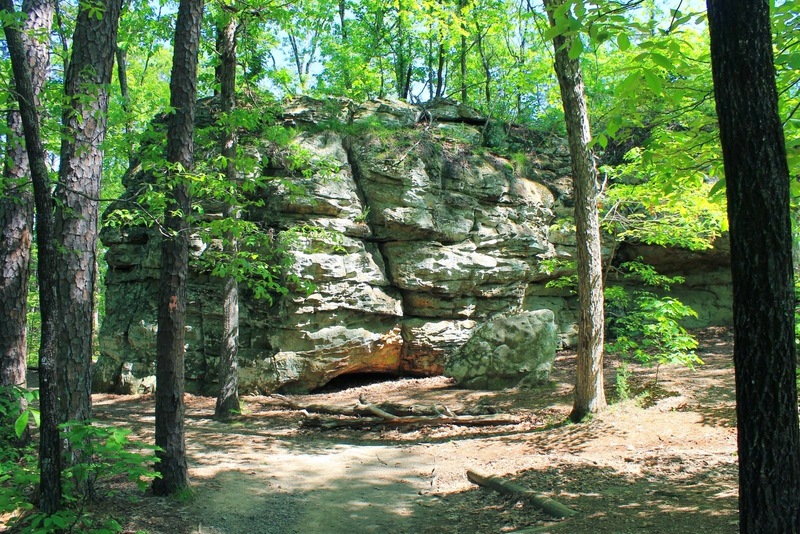 There is a gravel road that called the Red Bluff Drive that takes you along the top of the mountain with awesome overlooks and a couple of shelters. 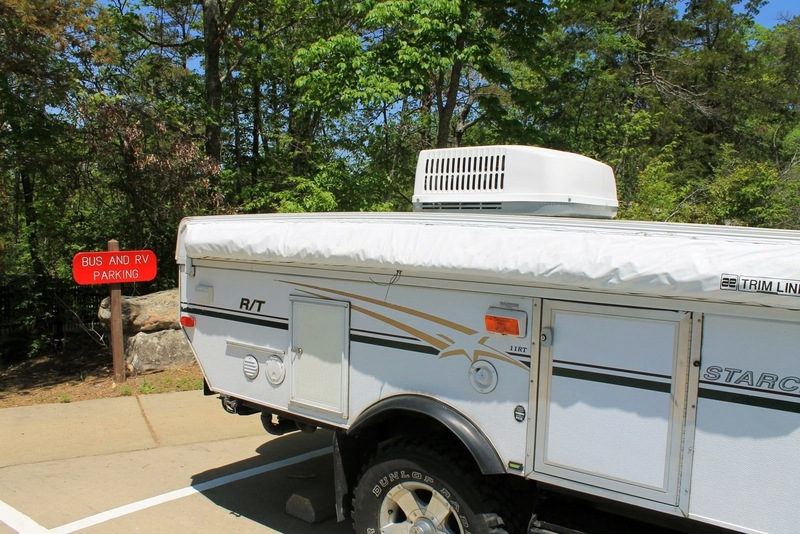 At the overlook parking lot, there was even an extra long parking spot for recreational vehicles! That was really nice since the parking lot was very crowded. 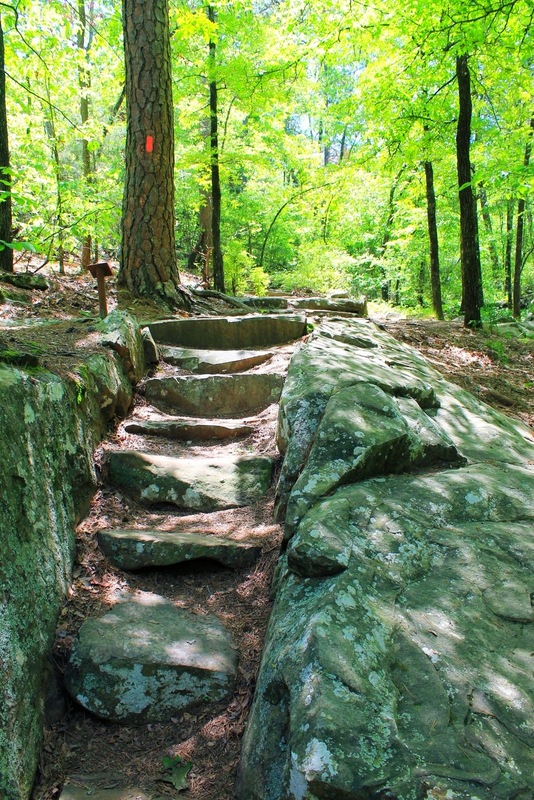 Also, be sure to stop by Petit Jean’s grave site and read on the history of the park. 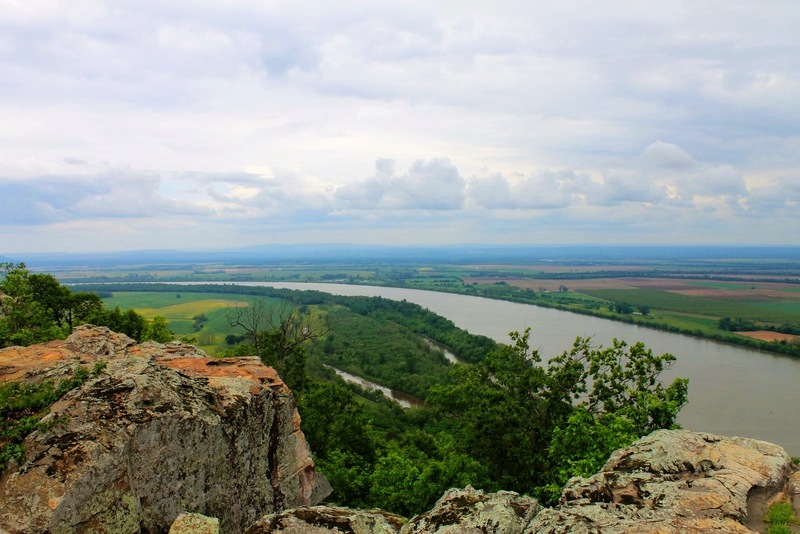 If you are looking for other things to do in the area, check out my posts on Central Arkansas and Mount Magazine. I saw your comment on the glamping website and took a look at your site. Sara was right: so much to read. 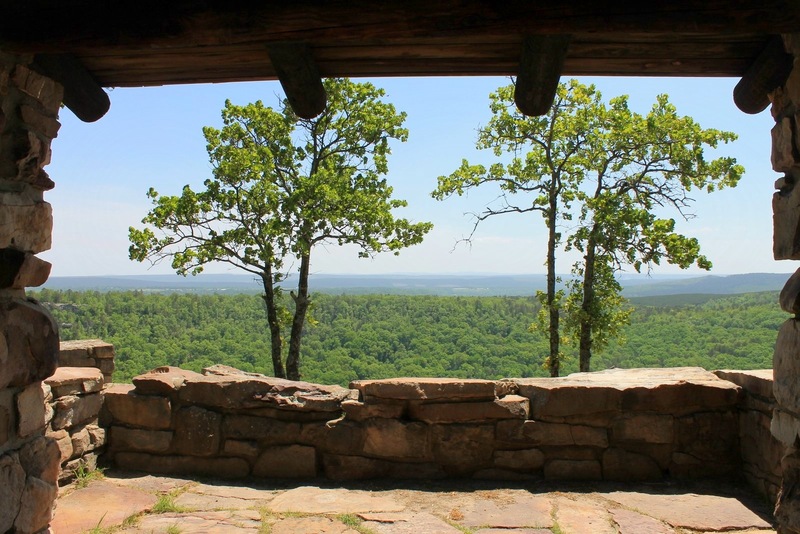 I came across this post @ Petit Jean. We visited there in 1979 and it was a great place. Lots of memories. Your photos are beautiful. So many posts makes me think I better get it in gear. Thank you for sharing. Safe travels. 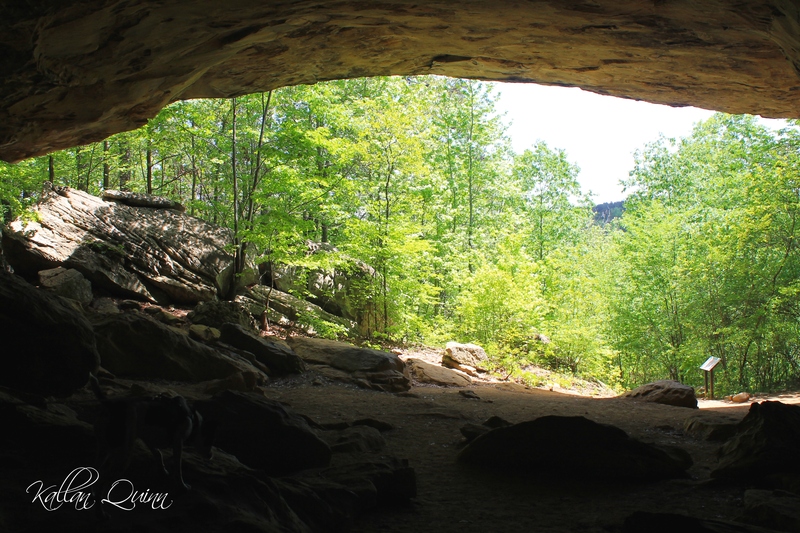 Thank you for your comment and thank you for stopping by my site! 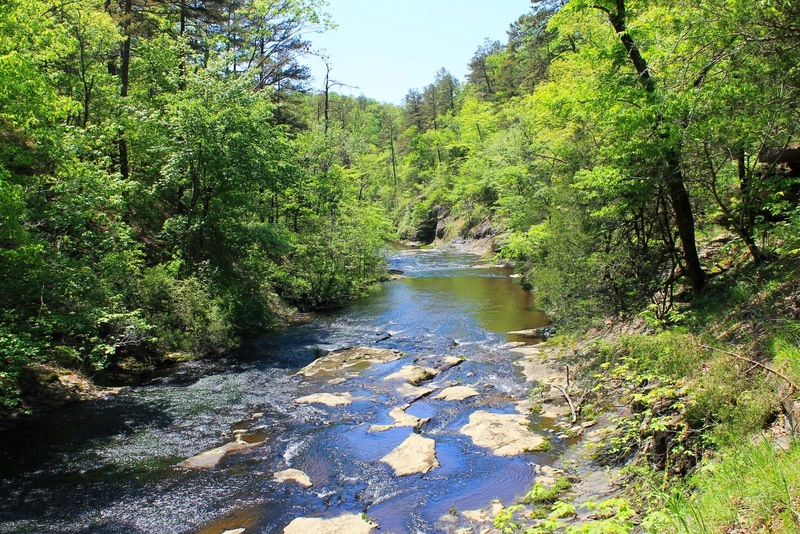 Petit Jean is a beautiful park in so many ways. One thing that I love about nature is that you can visit the park in 1979 and I can so many years later and yet there is still a connection that can be made 🙂 Safe travels as well!